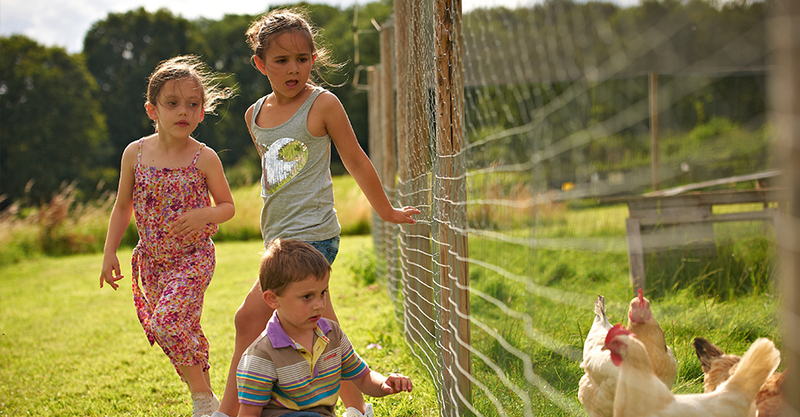 One of the biggest parts of Gladwins Farm is our resident farm animals. From pigs to Pygmy goats there is always someone willing to be petted. Along our trail, Woodland Walk, you will have the chance to meet our animals. You'll see our chickens clucking, pigs rolling around in the mud, Pygmy goats bleating and sheep grazing. All of our animals love to be fed. There is animal feed available from our shop or you can keep hold of your scraps for the pigs to devour. You may also spot wildlife around our fishing lake; ducks, moorhens, herons, carp, rudd and the elusive Percy the Pike. Percy is hardly ever seen but if you're patient, you may catch a glimpse of him. All but one of our holiday cottages at Gladwins Farm are dog and pet friendly. Gladwins Farm is set within 22 acres giving your furry friends room to roam freely. There are also a number of dog friendly walks, dog friendly pubs and dog friendly beaches nearby which we are more than happy to point you in the direction of. In each of your cottages you will find an ordnance survey map and in our Visitor Centre and Shop you will find a number of walking routes. Our dog friendly cottages come equipped with a comfortable bed, a dog bowl, biscuits and a place mat. The only thing we ask is that you don't leave your dog unattended, or allow them on furniture and to clean up after them. We hope your dog enjoys its surroundings as much as you do.